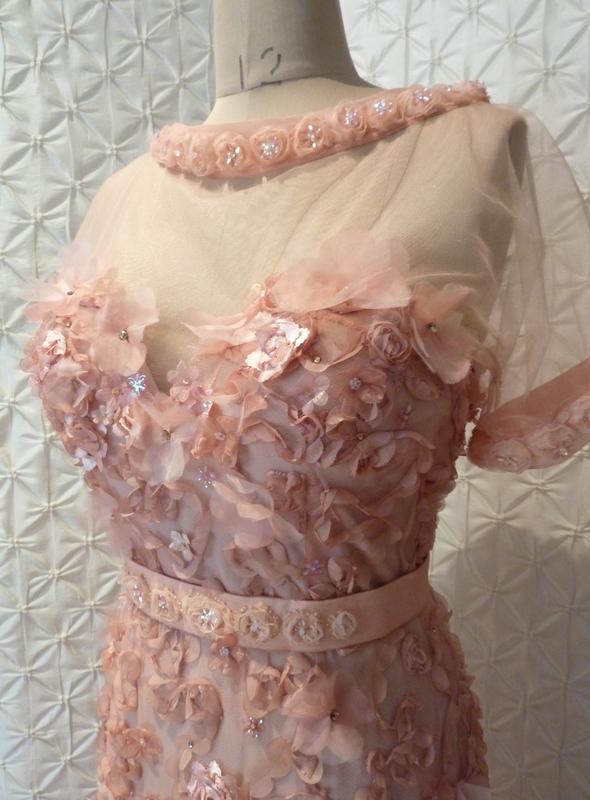 If you read my previous posts The Beginnings Of A Dress and Embellish And Adorn you will find the story behind the creation of this dress. 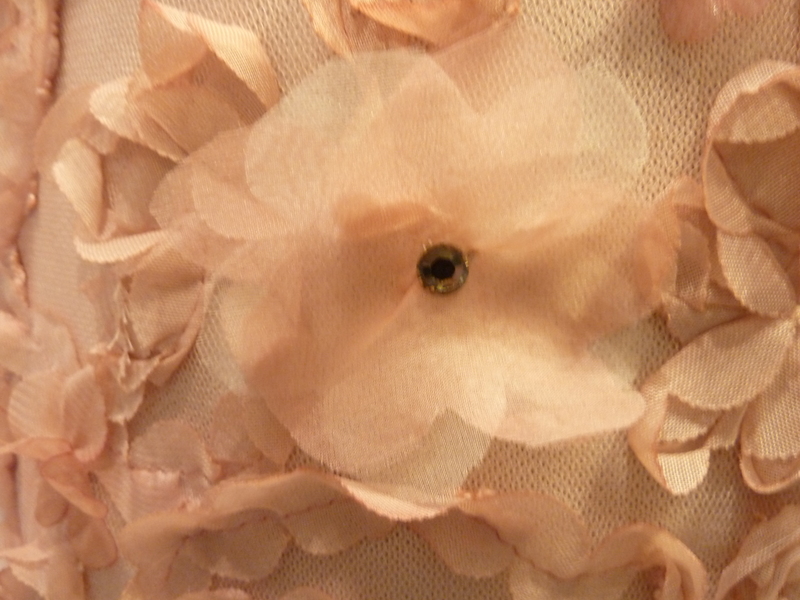 These silk organza flowers are handcut and embellished with a Swarovski crystal in the centre. 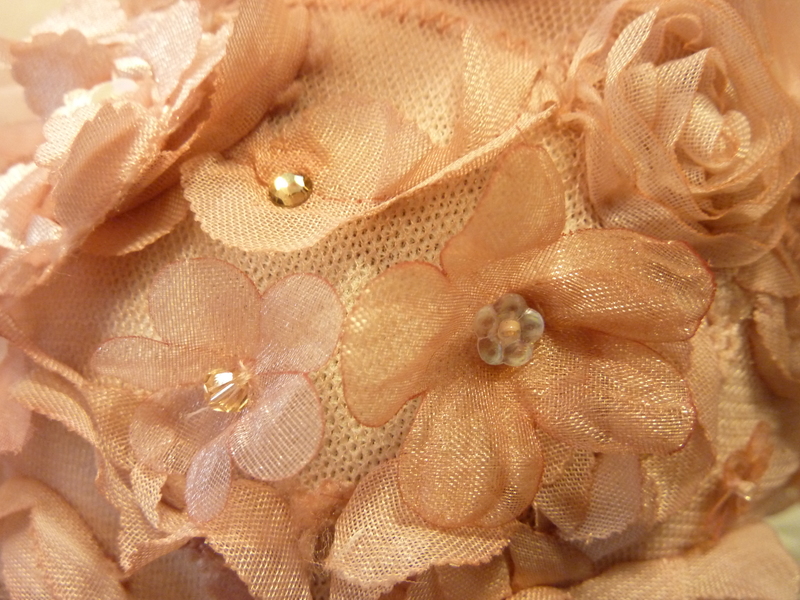 The dress does up with small silk covered buttons down the back. Beautiful Work! How did you make these silk organza flowers? Two or three layers? 3 layers (2 different shades of organza) I made a paper template for my petal shape piece – petals are linked in centre. Layer them staggering the petal position (just like a real rose) pinch in centre to give a cupped shape and stitch. Using different shades was really a nice move, I will try that next time, Thanks!!! I would love to have your help in redesigning a beautiful silk emerald gown I found in a second hand store – I am not quite sure how to customize it and you did an amazing job on this dress! Thank You! Post a photo of your vintage emerald dress I’d love to see it and perhaps I can make some suggestions for remodelling it. Hi how did you go with your dress remodel?